From Hillary Clinton to Donald Trump, find out who has the most celebrity endorsements for 2016. The 2016 presidential election has been nothing short of exciting. Even celebrities are finding themselves drawn into the action, and with only months to go until the nominations, the candidates need all the fire power they can get – especially from Hollywood. So, who’s backing who in Tinseltown? While rapper Kanye West might vote for himself in 2020, he and his wife, Kim Kardashian, are officially backing Hillary Clinton for 2016. 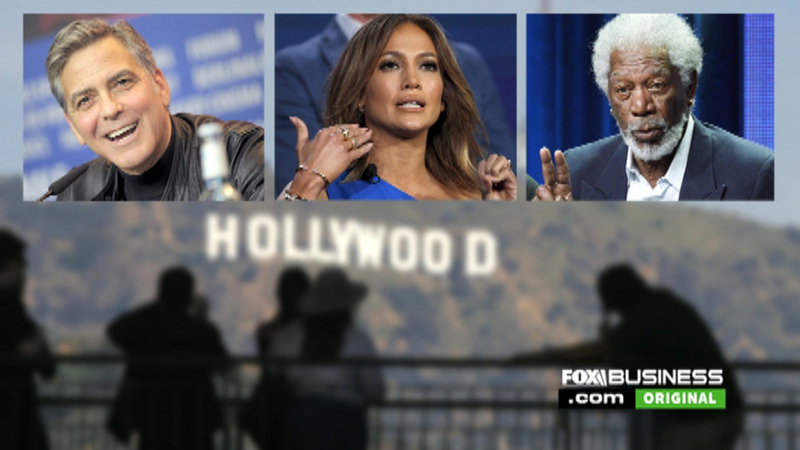 And they’re not the only a-listers jumping on the Democratic frontrunner’s bandwagon. George Clooney, Jennifer Lopez, Morgan Freeman, Samuel L. Jackson and Britney Spears are a few big names saying #ImWithHer. Comedian and TV host Steve Harvey told FOXBusiness.com in February that while he thinks Donald Trump is the “most exciting candidate” he has seen “in years,” he has to “vote for the masses” and not for his “own pocket.” He later announced that he’s officially endorsing Clinton for the job. And other celebrities seem to agree. Actors Scott Baio and Stephen Baldwin, Mike Tyson and Hulk Hogan are a few of his supporters. Even some reality TV stars like “Real Housewives of New Jersey’s” Teresa Giudice and “Duck Dynasty’s” Willie Robertson have backed Trump. TV show host Glenn Beck and actor James Woods are also backing the Texas senator. But don’t count out GOP candidate John Kasich just yet. Former California Governor Arnold Schwarzenegger, actor Tim Allen and former NBA player Charles Barkley are all in favor of the Ohio governor. Last but not least, actors Susan Sarandon, Danny Devito and Mark Ruffalo are all “feeling the Bern” and endorsing Vermont Senator Bernie Sanders for president.